“They’re judging me by my age & because I’m a woman.” Madonna told Rolling Stone in February 2015. The Queen of Pop turns 60 (!!) and she’s just as important & relevant now as she was back in the 80’s, 90’s and 00’s. The critics are still saying somewhat 37 years later that Madonna’s career is over. It’s been a common theme since she came onto the music scene in 1983 and last year was definitely no exception when she was on her Rebel Heart World Tour and more so her Tears of a Clown Show in Melbourne (Australia). 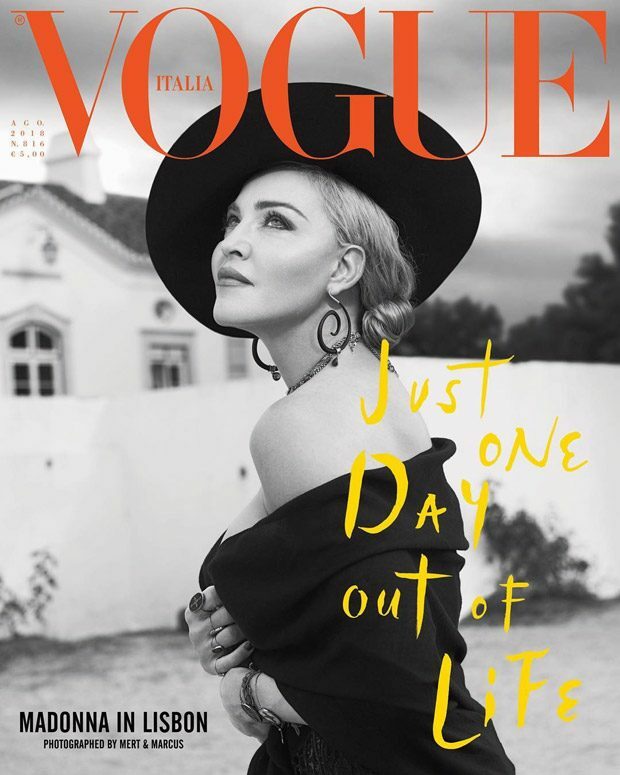 Granted Madonna didn’t exactly make it easy for critics and the public by either starting her shows an hour or so later or breaking down on stage over the heartbreak of son Rocco deciding to live with his father, Guy Ritchie, but either way Madonna has always played by her own rules. And to be honest, we really wouldn’t want it any other way. Its actually what has made the public love her (or hate her) and it is what has kept her at the top of her game more than any other artists since the 80’s. She’s shrewed, she’s talented and she’s smart. It’s what has made her last as long as she has in the entertainment industry. She is the only solo artist in the history of music, who continually beats her own Guiness of World Records of having sold out concert shows and making more money off of every tour, than any other solo artist. You don’t have that sort of continued success, if nobody likes you lets be honest. Because of Madonna, artists like Beyoncé, P!nk, Rihanna, Jennifer Lopez, Adele, Katy Perry, Miley Cyrus and so many others all thank Madonna for breaking down walls, rules, paving the way for female artists to building their own corporation, being their own boss, for standing up for theirs and women’s rights. Since the beginning of her career, American artist Madonna has had a social-cultural impact on the world through her recordings, visual artistry, self expression, attitude, clothing and lifestyle. She has been labeled by critics and fellow artists as the greatest woman in pop music history, as well as being the most influential and iconic female recording artist of all time. Madonna truly proves that age is meaningless. She is showing women to not let age define you and keep you quite in a corner sitting on a chair on the porch while knitting a jumper, just because your a women and your ageing (as society throughout time has always dictated or implied that a woman should do). If she wants to rock the stage, then she can. If she wants to party with younger men, then she should be allowed to. If wrinkly ageing male rock stars get called heroes and legends for parading with women old enough to be their daughters and encourage to tour and rock the stage, then why can’t women? Madonna has been paving the way for every woman out there and showing (or should that be, educating?) people that age should never be looked upon as a hindrance or an excuse, all it is but a number. Check out the music video of 35 years of Madonna’s amazing career and why she has always and will be, an important figure in pop culture and the music industry. Happy 60th birthday Madonna! Can’t wait to see what to see what you will add to your incredible legacy.